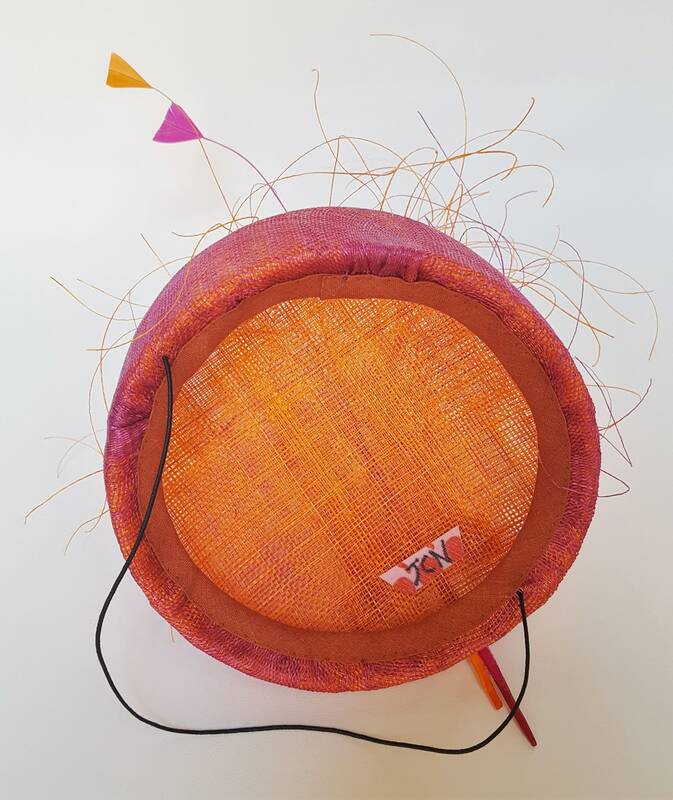 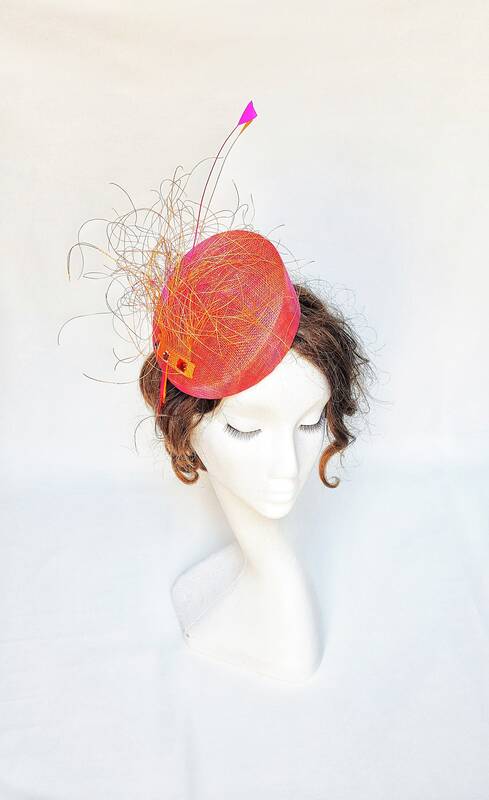 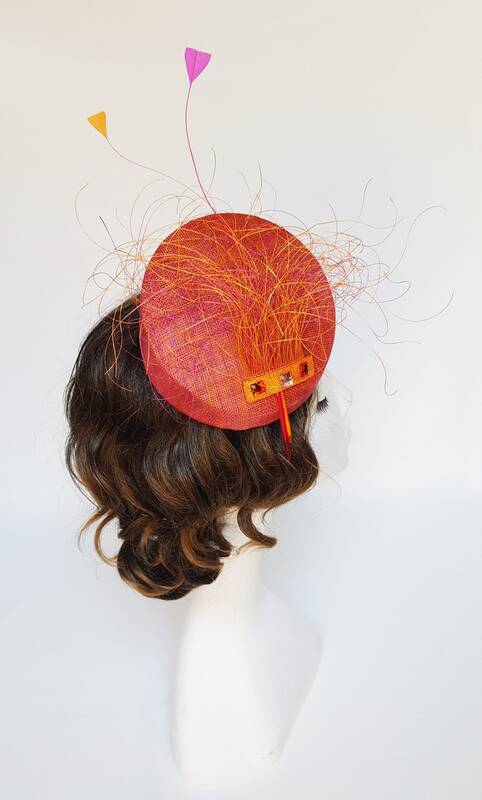 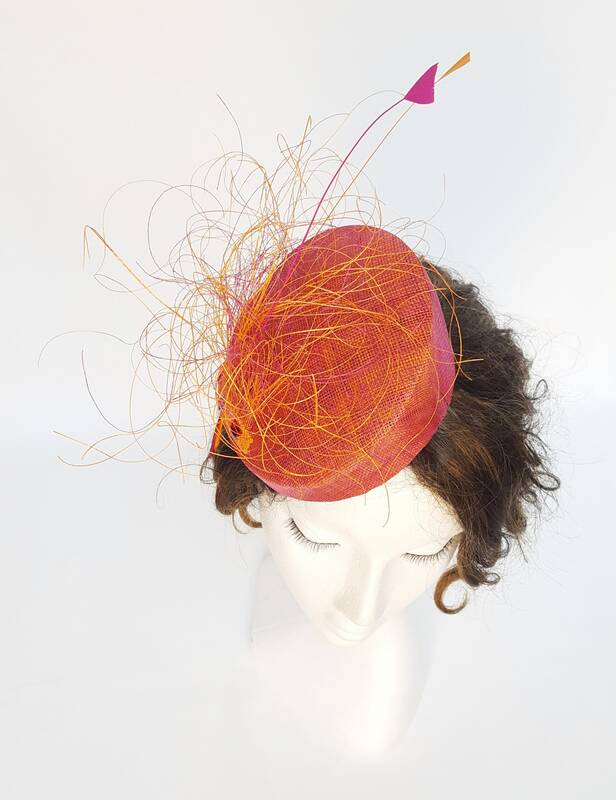 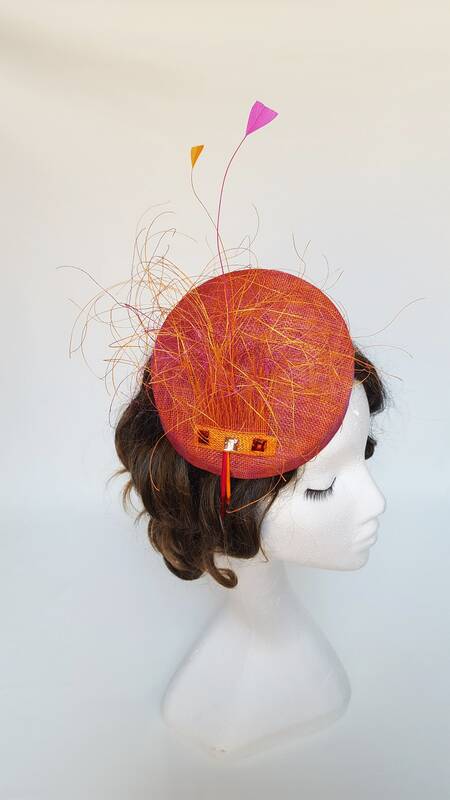 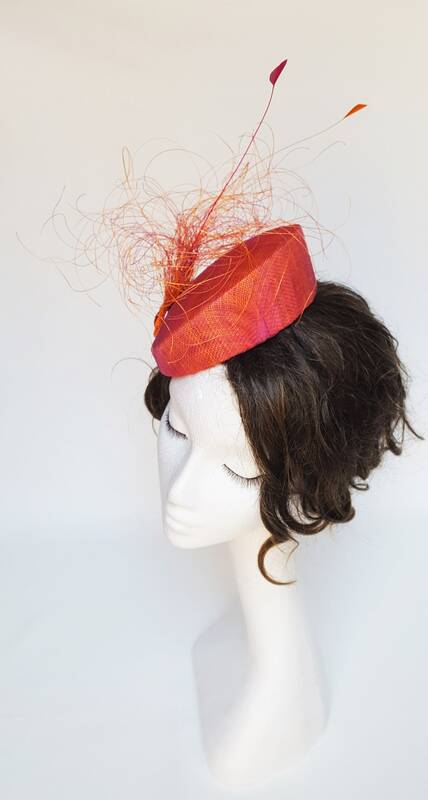 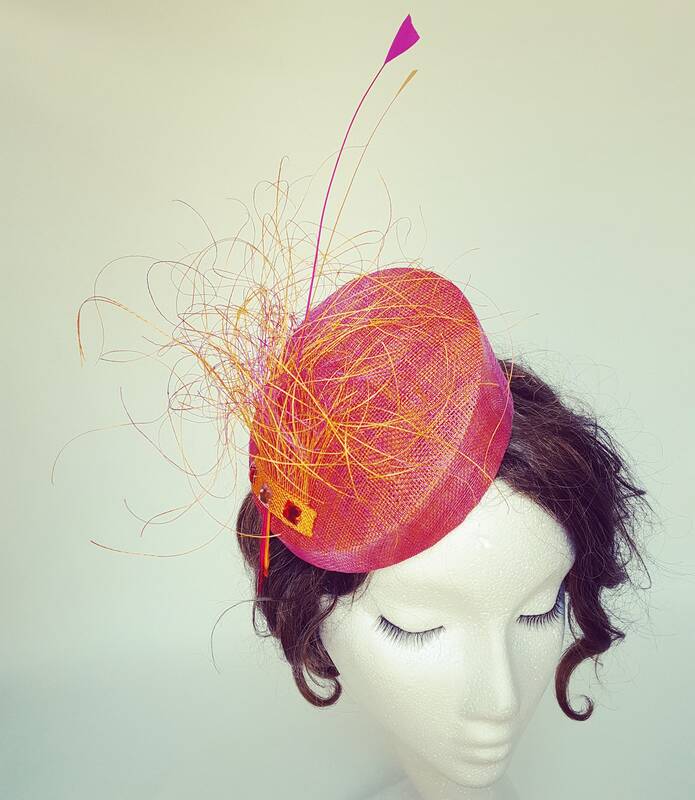 Hand-blocked percher hat in a mix of pink and orange sinamay, rooster feathers in the same colors, stripped sinamay. 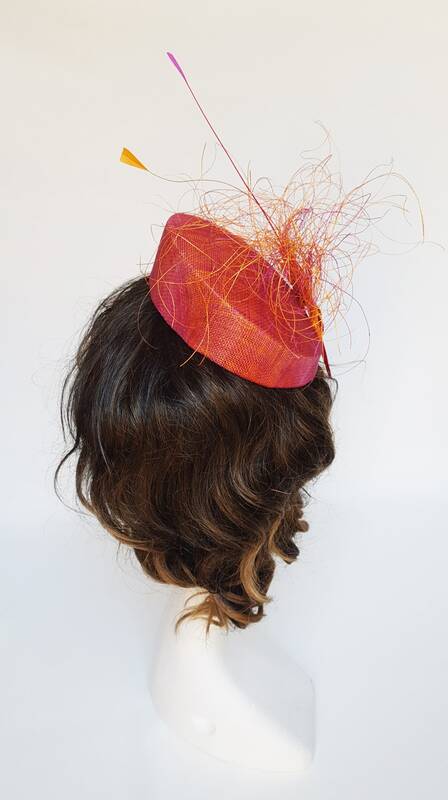 Elastic band in the back. 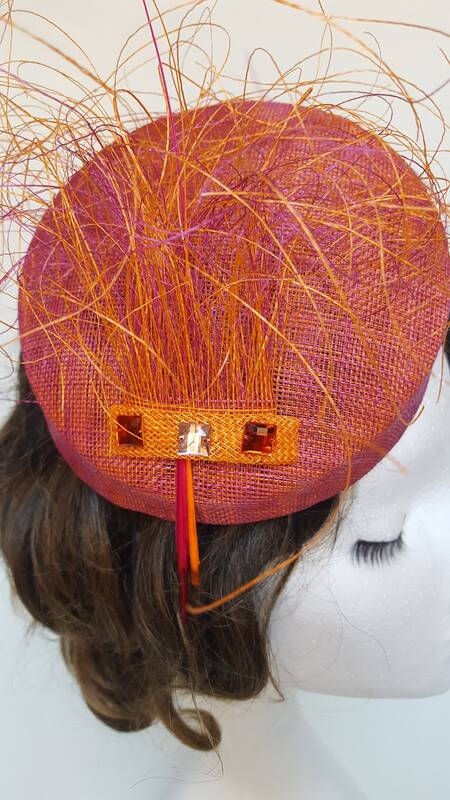 Square shiny glass beads at the base of the feathers. 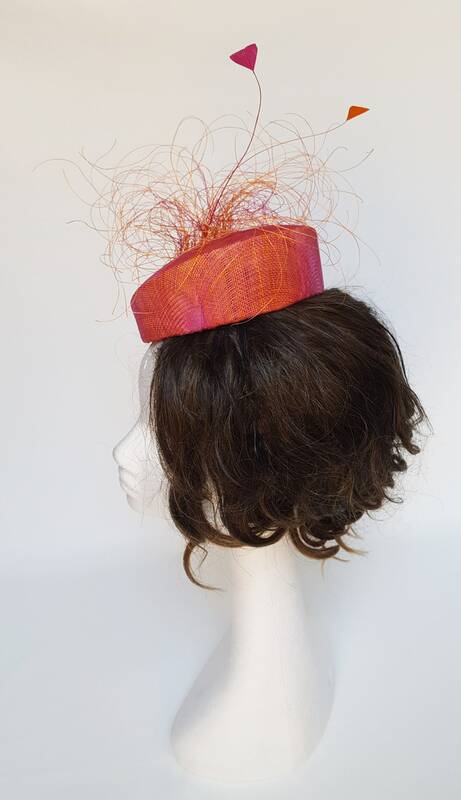 You will be able to adjust the elastic band to best fit your head.